TunnelBear is a VPN service that represents a perfect combination of premium protection and wonderful ease of use. It uses strong encryption, keeps no activity logs, allows 5 simultaneous connections, works perfectly on all major platforms and operating systems, and offers unlimited bandwidth, along with some rather useful features such as a VPN kill switch referred to as VigilantBear and stealth mode named GhostBear. Basically, if you are looking for a VPN that can keep you safe while being incredibly user-friendly, TunnelBear is the way to go. Now that we have listed all the key benefits of using this VPN service, it is time to take a look at the price tag. 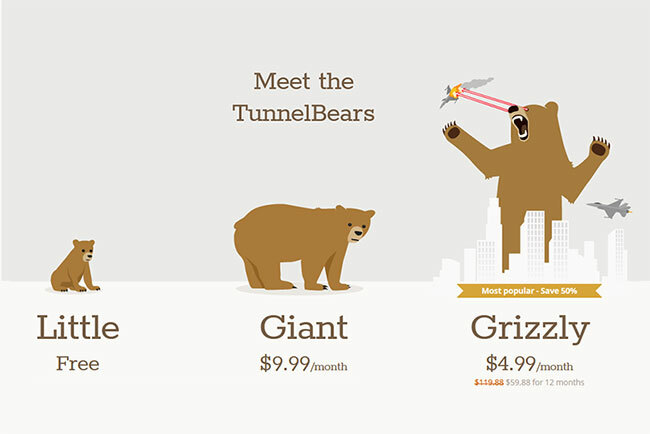 With TunnelBear, you can choose between 3 distinct subscription plans: Little, Giant, and Grizzly. The Little plan represents the free version of the service and comes with 500 MB of free bandwidth per month. Apart from the limited bandwidth, it also differs from the paid plans in that it does not allow you to choose Australia as your virtual location. The Giant plan is the monthly plan that provides access to all servers and features, along with unlimited bandwidth. It costs $9.99 per month. The Grizzly plan is the annual plan and it offers the same benefits as the Giant plan, only at a much lower price – just $4.99 per month, which amounts to $59.88 per year. 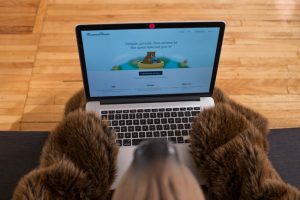 In addition to the 3 basic plans for individual users, TunnelBear offers a subscription plan for teams that costs $69 per person per year and offers all the advantages included in the Giant and Grizzly plans. Since TunnelBear offers a rather useful free version, it has decided not to offer a free trial to individual users. Instead, it only offers a 7-day free trial for teams. You can decide whether you want to pay with a credit card (Visa, MasterCard or American Express) or avoid sharing any personal data and pay with Bitcoin. Strangely enough, jars of honey are also listed among accepted payment methods and we know of one individual who successfully exchanged jars of honey for a TunnelBear subscription, so perhaps it is worth a shot.